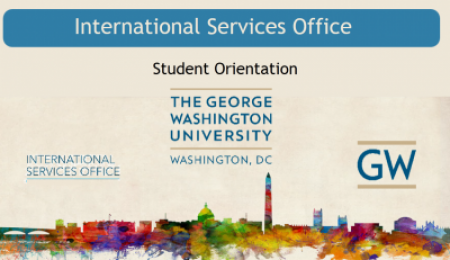 Prior to your arrival at GW, please watch the pre-arrival video below for your visa category (F-1 or J-1). If you need or prefer to see written captions, click the link below the videos for a PDF document including all slides and written captions. Watch the above video to learn valuable pre-arrival information for your F-1 visa. Click here for a PDF document of all slides with written captions. Watch the above video to learn valuable pre-arrival information for your J-1 visa.